Please read the Shopping Guide below before ordering. 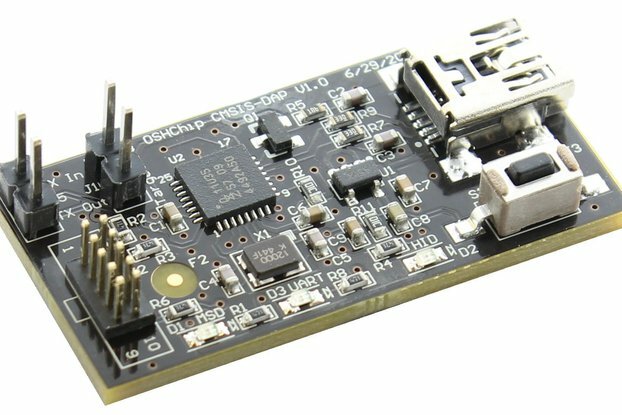 If you are not also ordering an OSHChip_CMSIS_DAP , please include a note with your order indicating that you already have an SWD programmer. Thanks. 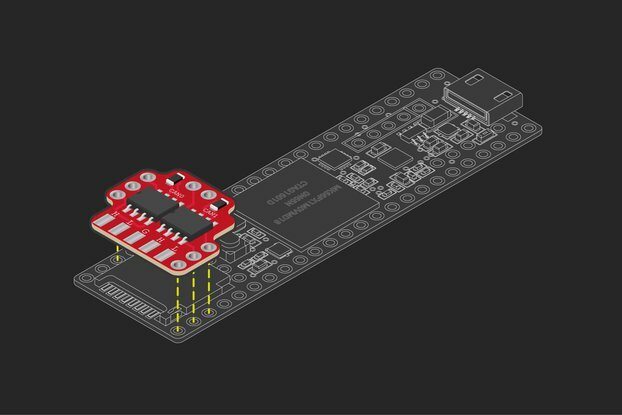 The most striking thing you see is that it is the size of a 16 pin DIP, and unlike other processor boards, it is designed from the start to be compatible with the breadboards that are commonly used by electronic hobbyists, robotics projects, and oh so many hackaday projects. 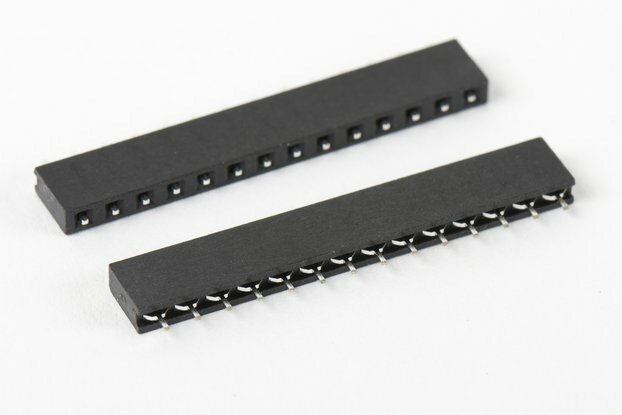 The pins are directly designed to work with these breadboards, and unlike the usual pin strips found on other processor boards, they plug in easily to the breadboard, and don’t damage it. 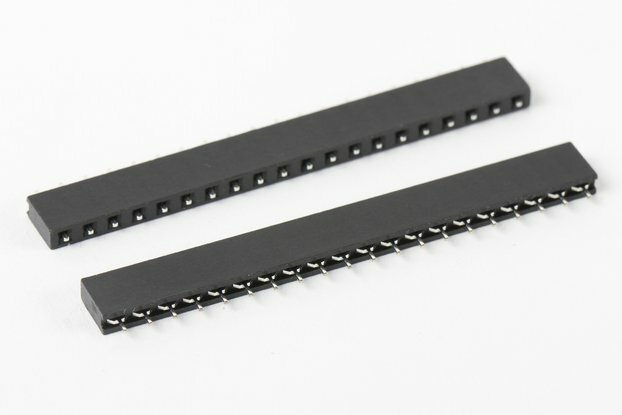 Unlike other processor boards that are far larger, OSHChip can be plugged into the middle two rows of a breadboard, and it doesn’t cover the remaining holes for your interconnecting wires. The Processor/Radio SOC (System On Chip) is made by Nordic Semiconductor: nRF51822-CFAC-A0 (which is the most advanced member of the nRF51 family of products). Supports Chip to Chip communications. 3 On-board LEDs (near top connector), Red Green and Blue. There are several audiences for OSHChip. 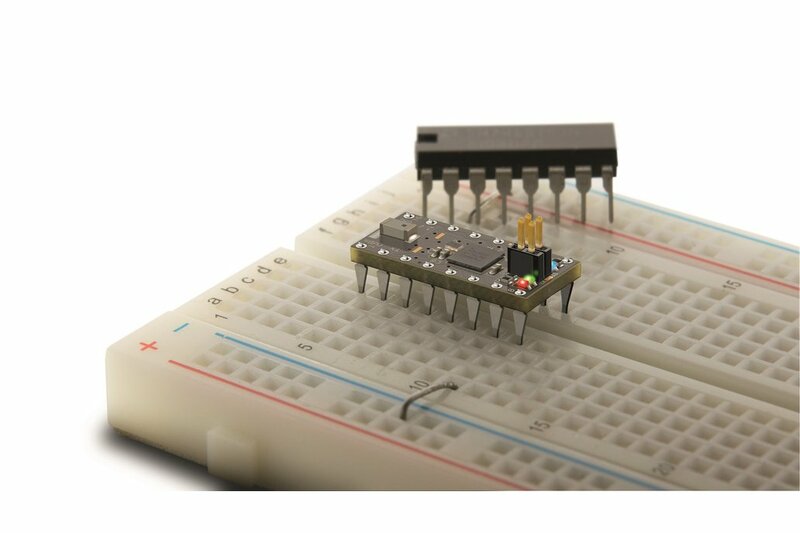 Initially OSHChip was designed for hobbyists and students, as a processor board that brought some of the latest technologies to the development environment of breadboards. 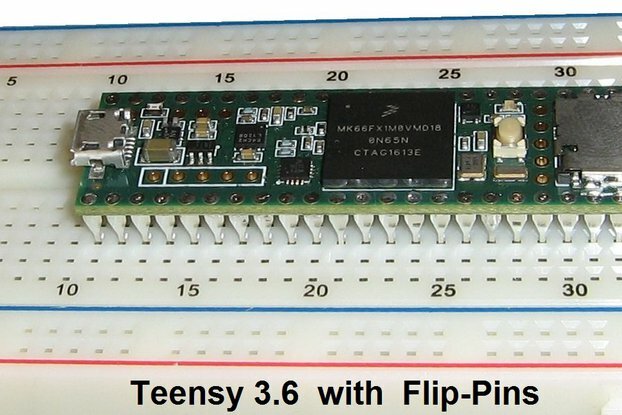 The unique pins on OSHChip were custom designed to be compatible with breadboards, and don't damage the breadboard the way the larger pins on other processor modules do. 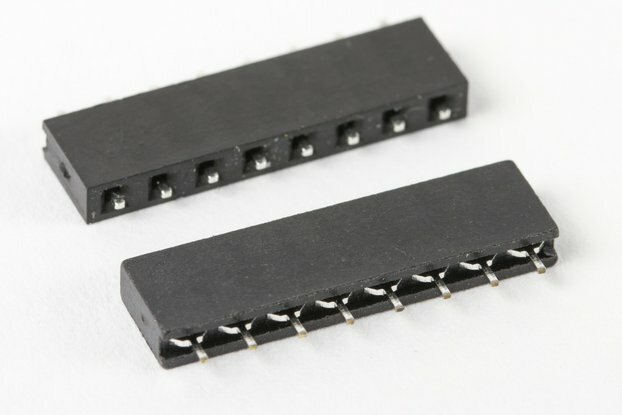 As mentioned above, the size of OSHchip also means that it fits into the inner two rows on breadboards, leaving all the remaining holes available for your interconnect wires. Although not initially designed for professional users, many professional users are now using OSHChip for their initial prototyping work because unlike all the other development modules for the nRF51822, OSHChip is ready to use as soon as you get it. All other modules are surface mount, requiring you to design and build a supporting PCB. Thank you for considering OSHChip for your project. Typically orders are for one or more OSHChips_V1.0 and one OSHChip_CMSIS_DAP_V1.0 . That's because usually you are only programming/debugging one design at a time. 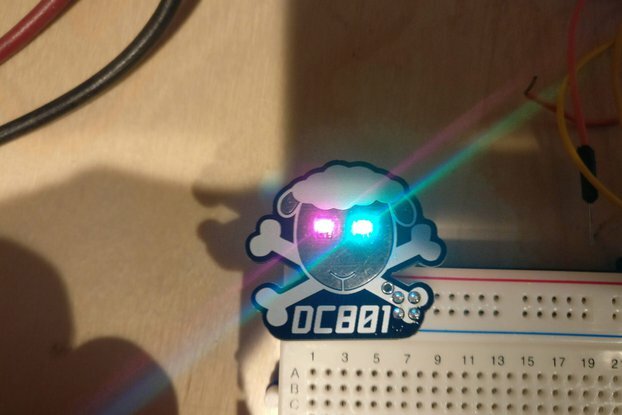 If you have a more complex project where you need to debug more than one OSHChip concurrently, you will need a programmer/debugger for each of the concurrent designs, and probably a computer that can run multiple copies of the Keil IDE concurrently, or multiple computers. If you order OSHChip_V1.0 and OSHChip_CMSIS_DAP_V1.0 together, your order will be shipped together for one flat rate, regardless of how many of each you order. Each OSHChip_CMSIS_DAP_V1.0 programmer/debugger comes with an SWD programming cable, which is a 10 wire ribbon cable with a 0.050" pitch 2 by 5 pin female keyed IDC connector at each end, and an SWD 2x5 to 2x2 Adapter designed specifically for OSHChip V1.0. The OSHChip_CMSIS_DAP_V1.0 programmer/debugger connects to your computer via a USB cable that has a Mini-B plug at the OSHChip_CMSIS_DAP_V1.0 end. The USB cable is not supplied by OSHChip. OSHChip_V1.0 is an Open Source Hardware design. It's right there in the name. You can find all the schematics, bill of materials, printed circuit board design files and the resultant Gerber files on the GitHub site. Flat Rate shipping for any quantity of OSHChip_V1.0 or OSHChip_CMSIS_DAP_V1.0 ---- Includes tracking ---- California buyers please add 8.75% sales tax.